The sculptures are heavy and so special care is made during packing and delivery. 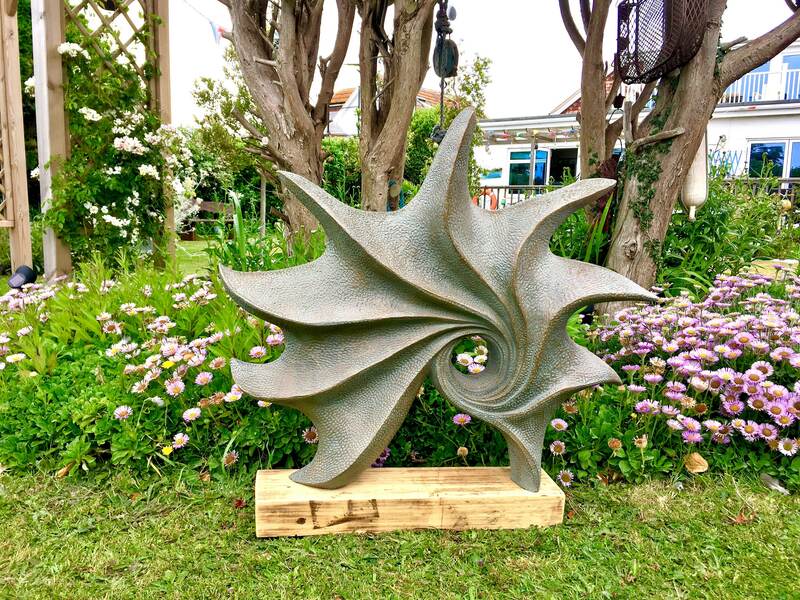 All of my sculptures are inspired by the sea and coast line near to where I live in Brighton. 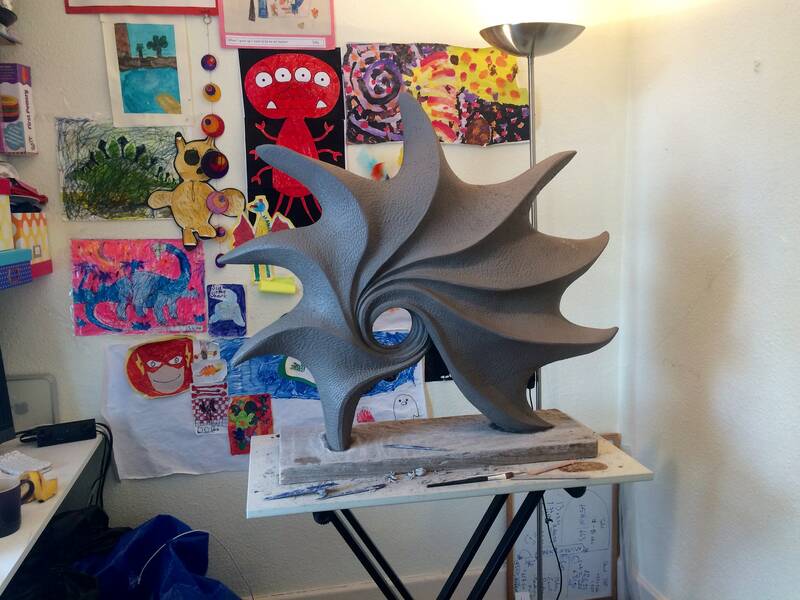 For this sculpture I had in mind shells, combined with the movement of water and the eroded textures it makes. I looked at many different types of shells, some from the beach near my house and others collected by friends on their travels. I loved the textures and the curves and wanted to show this with a flowing moment to capture the essence of the ocean and coast. 'Ocean' looks wonderful in many different settings. It works well in the garden as it compliments both natural planting schemes or to stand out as a centre piece in a more formal garden. It can of course be a statement piece indoors simply placed on the floor or perhaps on a console table or bench. I make my sculptures first in clay over a frame that I build. 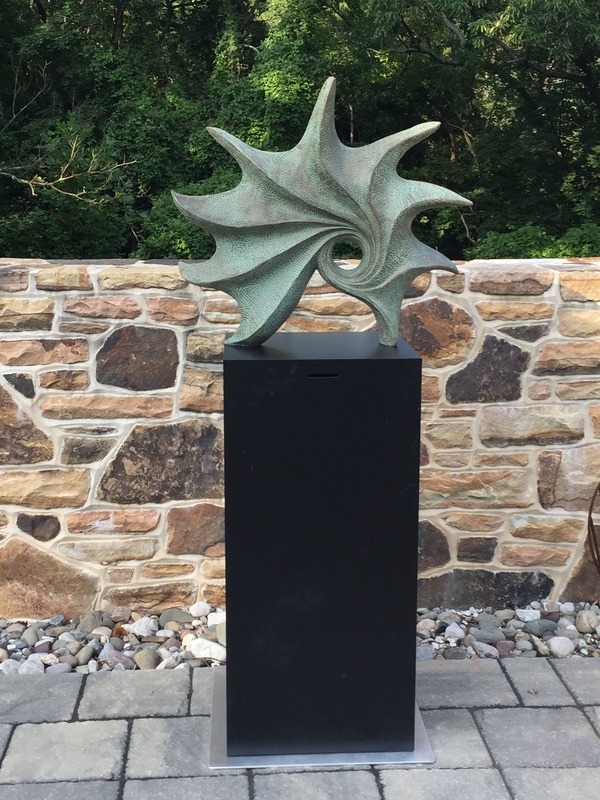 The sculpture is then moulded and cold cast in bronze and resin over a fibreglass frame. 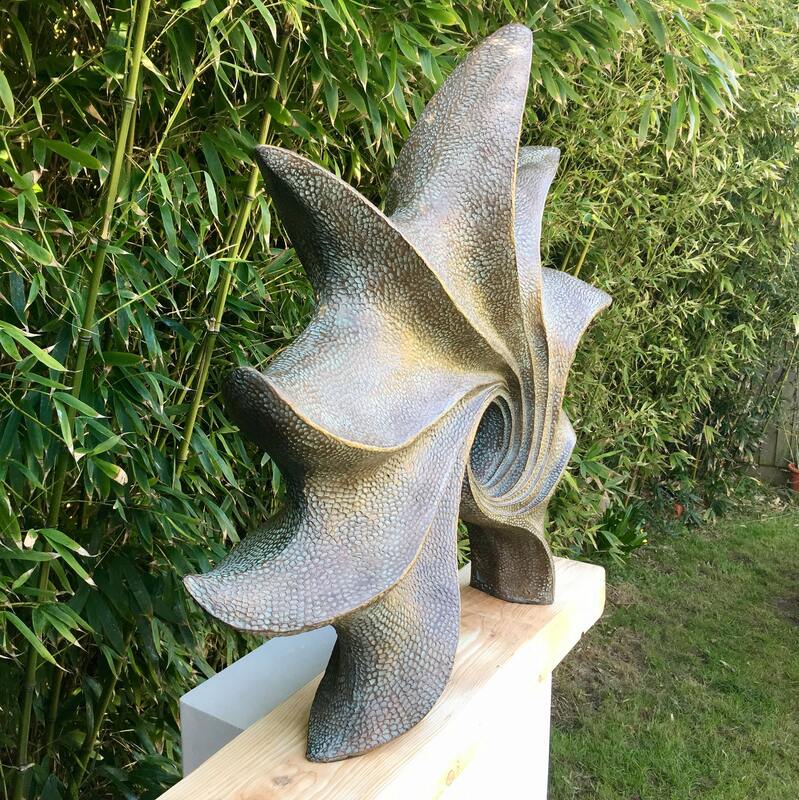 Each one is unique as they are finished by hand using several stages before the final cold cast bronze with resin and wax patination finish is achieved. 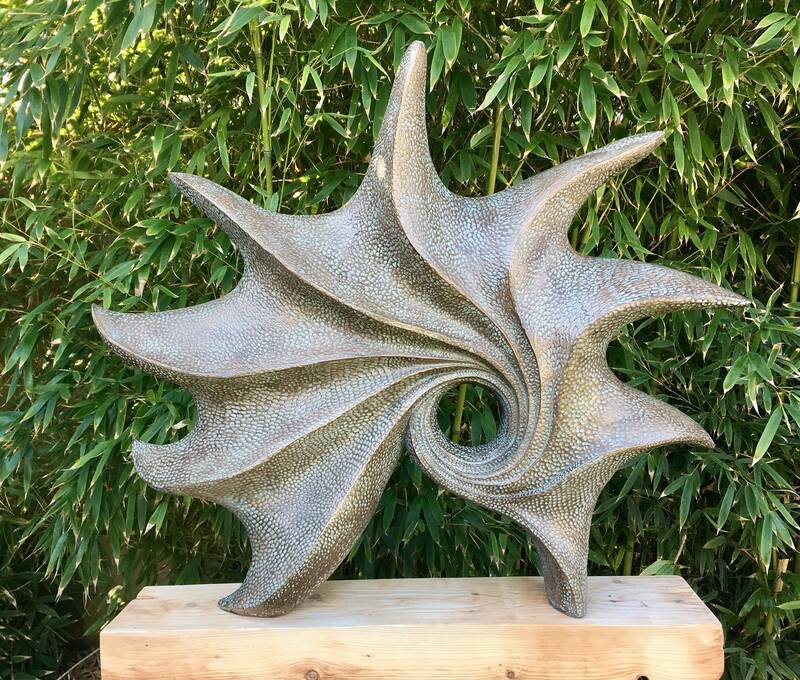 These sculptures are of the highest quality finish and great care and time is taken to achieve this. 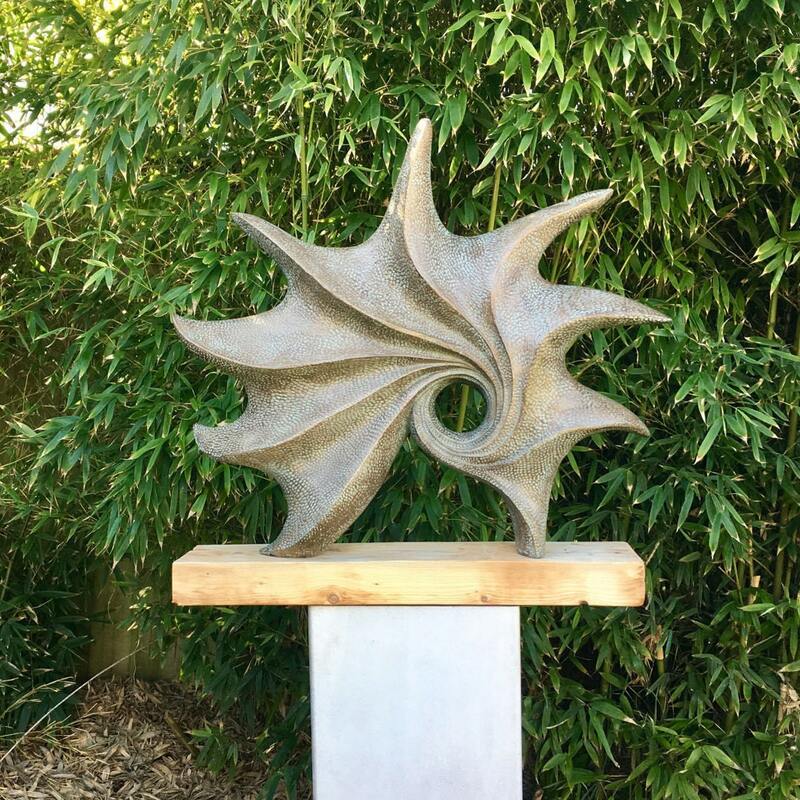 Whilst a bronze finish has always been the first choice for sculptures, I can provide a variety of finishes such as aluminium, iron or copper. 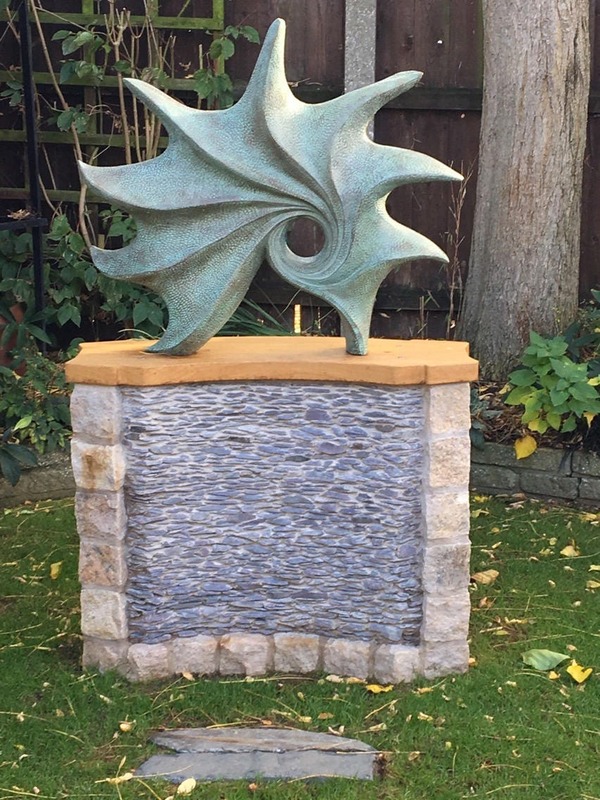 If you would like the sculpture to be cast in an alternative finish then please don't hesitate with your request. I would be happy to arrange this. Q. Do they weather with age? A. 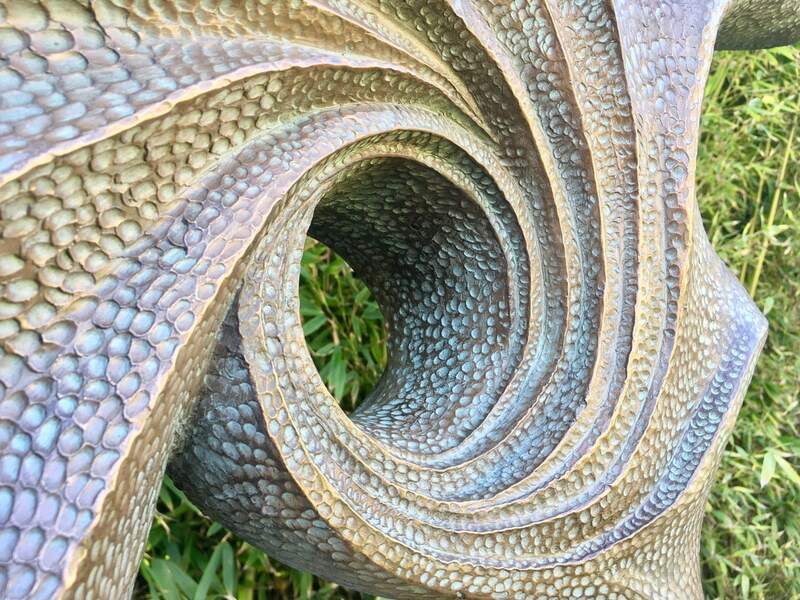 The sculptures are completely frost-proof making them suitable for the garden. 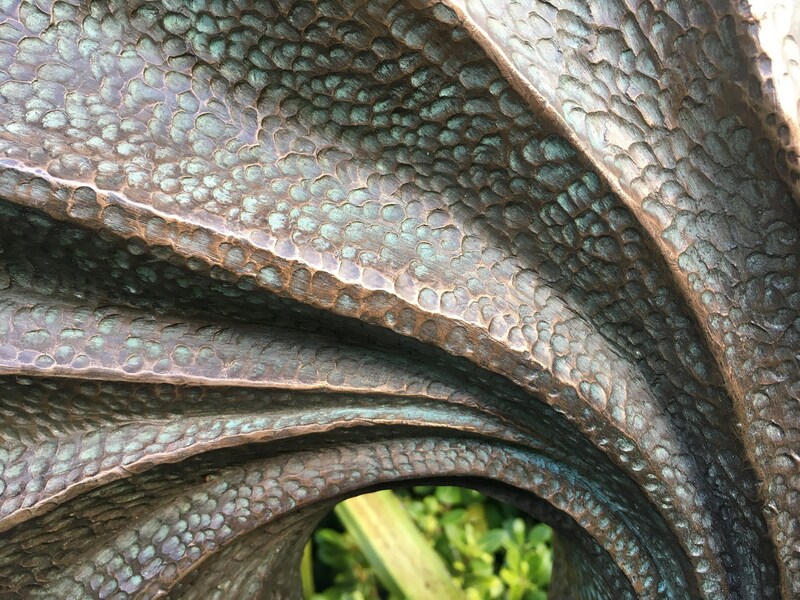 Due to the almost solid bronze outer layer, they do react with the weather and can, as solid bronze, develop verdigris. This can be cleaned off if required by using a small "wash up" sponge with a rough side to it. This will highlight the metal. A. Do not use strong detergents or chemical cleaners, as this will destroy the patination. It is advisable to polish them with pure bees wax once or twice a year. A. The sculptures are made with a threaded nut encapsulated in the base where a threaded rod can be screwed into the base. 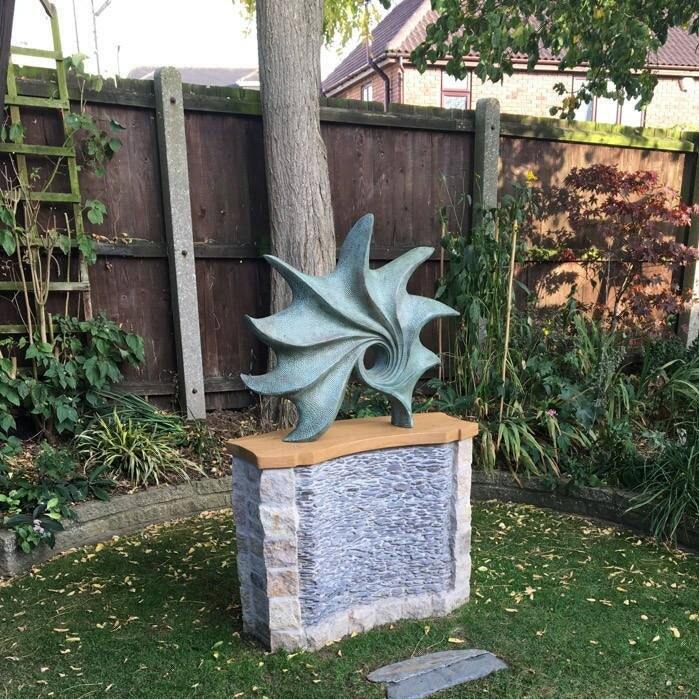 The sculpture can then be fixed into a pedestal or pushed into the ground to give it stability.